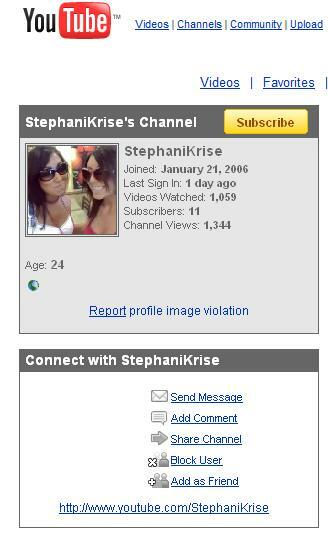 StephaniKise is a Raley shill. She is providing a comment that she knows is not true but wants to give viewers the impression that this story is bogus. 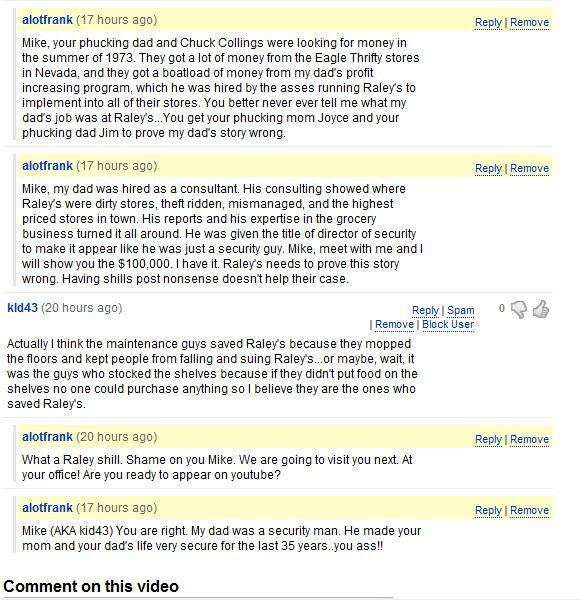 By the fact she mentions 1969 was Raley's turnaround, which is a year later than what Chuck Collings indicated in a letter written in to Frank Nordby, I have to think she is possibly a relative of Mr. Collings. 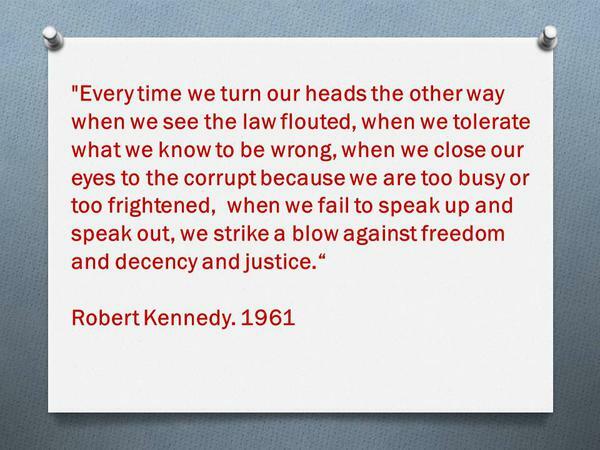 Mr. Collings stated that the turnaround was in 1968. 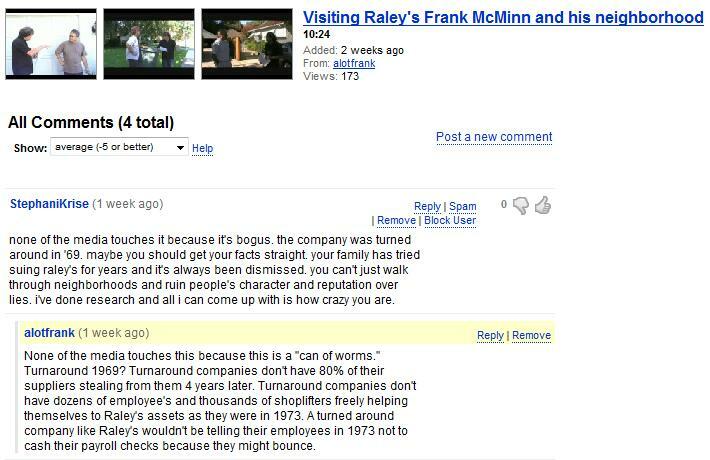 The problem with her making this claim that Raley's turnaround happened in 1969 is contradicted by Raley's history book when it claimed that 1973 was the year Raley's turned around when they purchased a chain of mismanaged stores that were losing money called Eagle Thrifty. 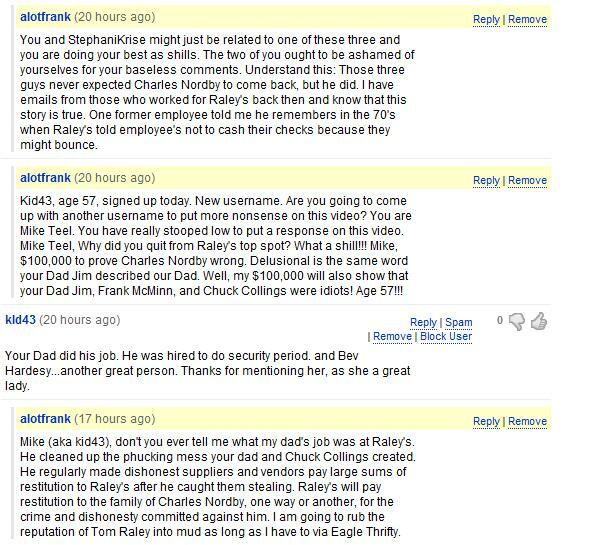 An additional note: Raley's history book indicated that buying Eagle Thrifty in 1973 was the gamble that made Tom Raley a millionare several times over. Below is a comment from another Youtube user with a user name kid43. kid43 is shill and after clicking on his id the information concerning him are seen at the bottom. 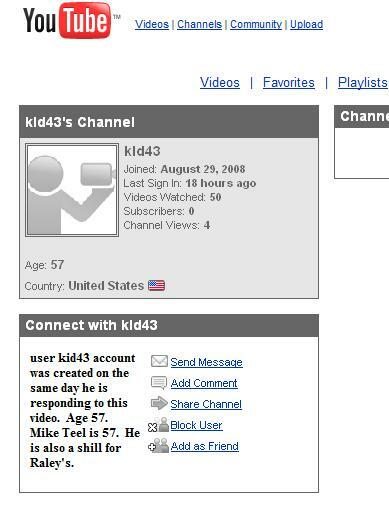 Is kid43 Michael Teel? kid43 had created this user name on this date. He also indicated that he is 57 years old. Mike Teel is 57 years old. He is also information that only a person like Michael Teel would know. 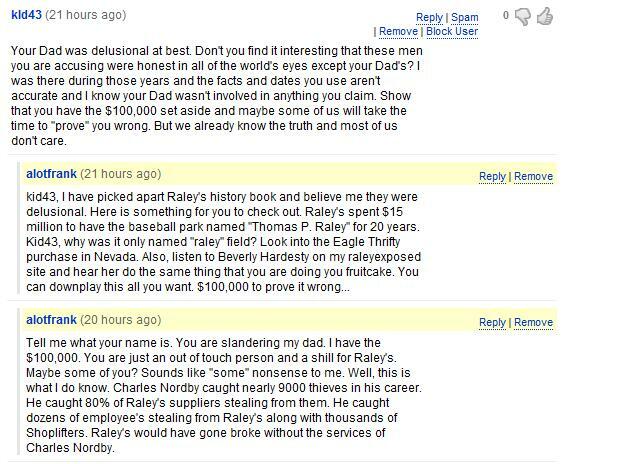 There aren't that many employee's working for Raley's who know who Beverly Hardesty is. Beverly is featured on this web site. She too was assisting Raley's as shill. She was publicly telling people that Charles Nordby lied in his Raley's Exposed book.